The famous criminal Willie Sutton was once asked why he robbed banks, he responded, “because that’s where the money is.” This pithy quote has since evolved into a concept known as “Sutton’s law.” It’s used to explain to medical students that they should start with the most likely diagnosis, and it’s used in managerial accounting to focus on where costs are greatest (and therefore the most savings are likely to be found). Sutton’s law should also be used to guide our policy decisions, especially in regards to antitrust enforcement. In 1996, just after a major government shutdown and in the midst of a budget crisis, then director of the FTC Bureau of Competition Bill Baer gave a speech defending the money we spend on antitrust enforcement. Antitrust agencies have very limited resources and need to use those resources to bring the greatest benefits to consumers. Baer explained that the “dollars and sense” of antitrust enforcement required them to focus on enforcement that would result in large tangible savings – and he gave examples like prescription drugs. Today, after a landslide victory in the House, Democrats now have the opportunity to address the top concerns of working class Americans. Competition policy will certainly be an important part of achieving those goals, which, according to a recent poll by the Progressive Policy Institute (“PPI”), is clearly healthcare costs. Healthcare was overwhelmingly the top of mind issue for Americans, 18% listed it as the top issue for congress to address and 45% listed it in their top three. Respondents were asked what they thought was the best way to reduce income inequality, and the top response was to reduce health care costs. Competition enforcement has a big role to play in this space. 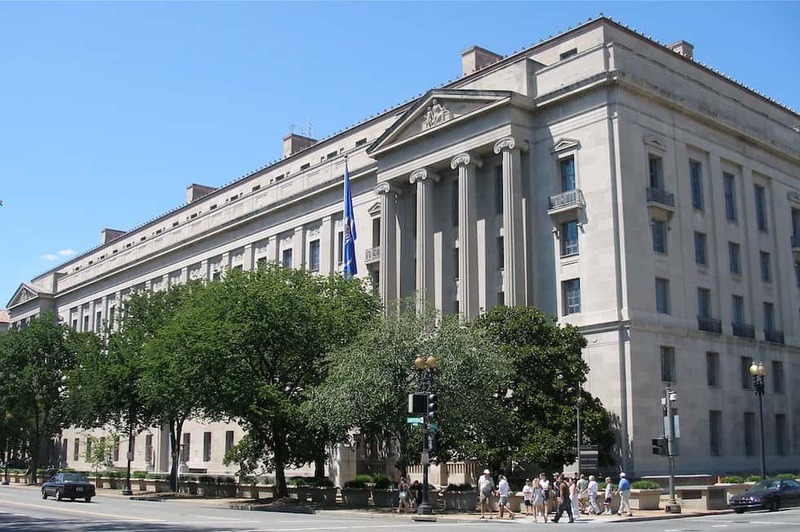 The antitrust enforcement agencies, particularly the FTC, have historically had robust enforcement programs targeted at the healthcare industry. But the agencies have also been locked in a sort of arms race, with clever attorneys finding ways around rulings almost as soon as they are issued. The industry remains ripe for enforcement and even legislation. Competition enforcement also has a role in policing big industries like the tech industry. But the resources spent have to match the comparative harm. Here the PPI poll is again instructive. They found that “while 60 percent of voters say they are concerned about tech companies’ handling of privacy and data protection, large majorities see these companies as ‘mainly a positive force in society,’ ‘a sign that the American economy is working’ and ‘a key advantage in our competition with China.’” A majority of voters, 55%, oppose breaking up big tech and 67% would prefer a candidate that was cautious about breaking up successful tech companies over a candidate who would take on these companies. A majority, 60%, did say they were concerned about tech companies’ handling of privacy and data protection, which aren’t directly competition problems. Indeed, tech remains relatively popular, with 67% of voters feeling positive about the industry and 33% having a negative opinion. Some might suggest our limited antitrust resources should focus on tech using new novel theories. They forget the time in the 1970s when novelty led to endless fruitless investigations quickly outpaced by technological change. Reversing enforcement priorities would not only fail Sutton’s law and ignore public priorities outside of DC, it would also be using our enforcement agencies for something they were not built for. Our agencies are fundamentally built around the “Dollars and Sense” enforcement that Baer spoke of in 1996, where an agency head can tangibly show how much good their work has provided Americans. They were not built for the complex and long-term policy goals that are currently part of the debate, such as privacy, security, and democracy that are inextricably and incorrectly tied to the competition debate heard throughout the District. The best use of our enforcement dollars is to fix the industries where Americans are facing the greatest hardships and anticompetitive activity is the clearest. Clearly that focus should be directed first towards health care costs and especially the high cost of prescription medications. Contributor Note: David Balto is a public interest antitrust attorney based in Washington, DC. He previously served as policy director at the Federal Trade Commission, as an attorney in the Justice Department’s Antitrust Division, and as a senior fellow at the Center for American Progress and the New America Foundation. David represents consumer and public interest groups and generic drug companies in antitrust matters. He advises Google and has advised a number of small business and consumer advocates, and tech companies such as Broadcom and Asus, and is an expert in antitrust, consumer protection, financial services, intellectual property and healthcare competition. His views are his own.